WineStyles Tasting Station is proud to host a national fundraising collaboration with Purple Heart Wines (www.purpleheartwines.com) benefiting the Purple Heart Foundation (www.purpleheartfoundation.org), an organization which supports veterans in need. For 50 years, the Purple Heart Foundation has been supporting and honoring the sacrifice military veterans have made for our country. Last year alone, they have helped over 19,000 veterans and secured over $300 million dollars in VA benefits. “We hope our local communities will join us in supporting this important cause. It’s a great opportunity to enjoy a wonderful wine, while supporting our military heroes at the same time,” commented Andrea McGinness, COO of WineStyles Tasting Station. Mondavi & Family wines of Napa Valley, producer of Purple Heart Wines, makes an annual contribution of up to $50,000 to the Purple Heart Foundation, which has been used to support U.S. military servicemen and women and their families with services like job-training, counseling and more. The head winemaker for Purple Heart Wines is John Moynier, who served in the military during the Vietnam war from 1968-1972. “Working with a brand that combines my passions for winemaking and military service is the perfect finale to a long career in winemaking in Napa” commented Moynier. Purple Heart Wines launched its proprietary label, Purple Heart, in 2016 – created to honor the determination, bravery and commitment of America’s military heroes. 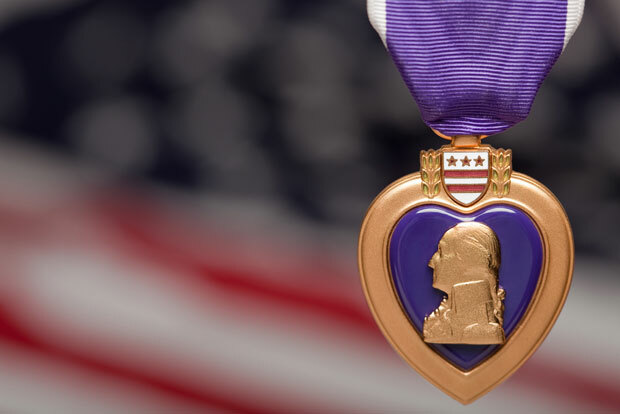 Moved by its namesake, it is this noble medal that led to the creation of the Purple Heart wine – a worthy tribute to the nation’s servicemen and women. Produced in the United States’ greatest wine region – California, it is an uncompromising wine crafted under the close stewardship of C. Mondavi & Family, whose patriarch, the late Peter Mondavi Sr., was a proud veteran of World War II. Purple Heart serves as a testament to the integrity and virtue of the Purple Heart Foundation, and aims to help further the organization’s cause through both awareness and fundraising. 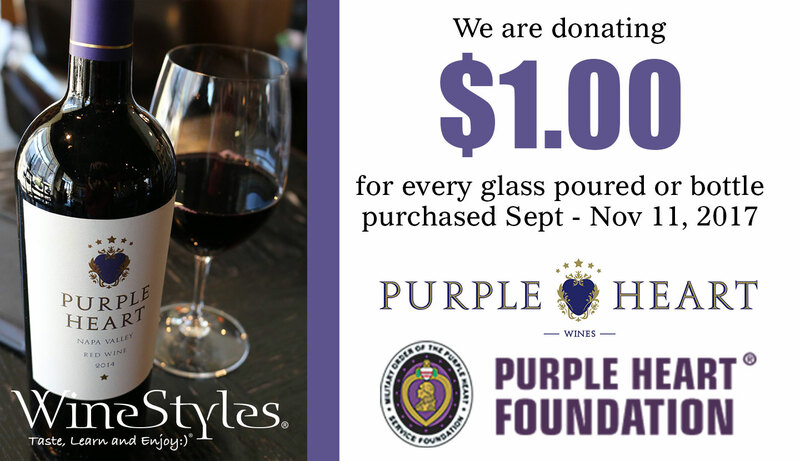 To support these efforts, an annual donation will be given to the Purple Heart Foundation. Learn more about Purple Heart Wines at purpleheartwines.com. The Purple Heart is a congressional military decoration, awarded to members of the armed forces of the U.S. who are wounded by an instrument of war in the hands of the enemy. Founded in 1958, the Military Order of the Purple Heart is a congressional chartered veteran’s organization, dedicated to assisting the needs of U.S. military servicemen and –women and their families. More information is available at purpleheartfoundation.org. Please join us on Saturday, November 11 at 6:00pm, as we toast our veteran’s at every WineStyles location across the USA!